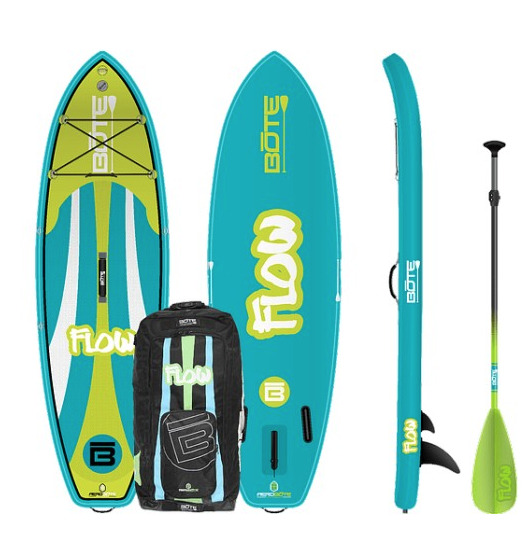 The BOTE Flow is the perfect entry-level paddle-board for the young ‘uns. Made from military grade PVC, this inflatable SUP is built to last! It‘s easy to transport in its own rolling backpack, easy to inflate with its own pump and easy to ride because it‘s super stable.